Oh, Toto…I don’t think we’re even in Italy anymore. Venice is not just any city. The streets are made of water, there’s not a right angle to be found, and the system of convoluted alleyways can be difficult to navigate even for a local. That’s why having a personal, practical, on-site introduction can make all the difference in how enjoyable the rest of your stay can be. 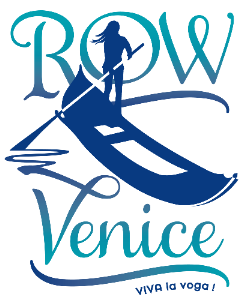 VENICE 101 begins with an e-mail containing detailed arrival instructions according to your lodging and your means: air, train, or car — even how to save money on travel passes. We’ll track your actual arrival and arrange to meet you shortly thereafter. Instead of wandering about, though, we’ll choose the perfect spot in your specific neighborhood (likely a nearby cafe) to sit, chat, and orient you to the city. We’ll dot your map with locations for any activities you already have scheduled, make suggestions for things to keep an eye out for as you wander. We’ll have eating tips of all types, and make reservations if you’d like (definitely for your first night). We’ll include a complete explanation of the vaporetto and traghetto and how best to take advantage of them. We’ll tell you of any last minute goings-on, answer any specific questions, and include insider recommendations – all according to you personal interests and mode of travel. We include coordinated city-wide explanations between maps and principal thoroughfares, shortcuts, navigation tips along orientation keys and landmarks, ways to get un-lost, along with shopping tips, current exhibitions, along with notable enoteche, eateries, favorite gelato bars, and more. Additional time available at €25 per half-hour (1 – 6 pp). This entry was posted in Featured, For Smooth Travels, in Venice on October 10, 2009 by Living Venice.